Sacred Heart Primary School, Roscrea. 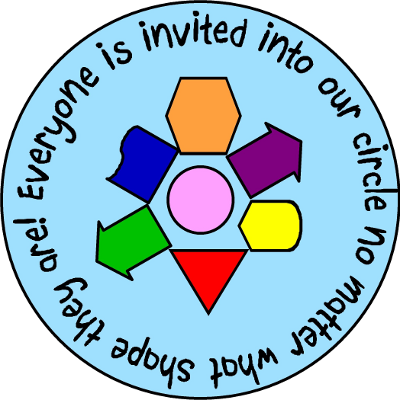 Everyone is invited into our circle no matter what shape they are! 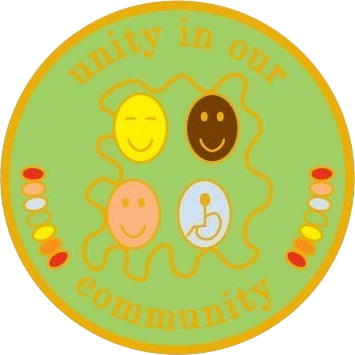 This badge was designed by pupils from another school in Ireland. As part of anti-bullying awareness in schools, we have designed a badge which can be used to encourage all pupils to make a visible commitment to "Stand Against Bullying". A small, simple, yet enormously effective way to encourage awareness and discussion of this very difficult issue, it also enables pupils to take positive action by physically wearing an anti-bullying symbol. 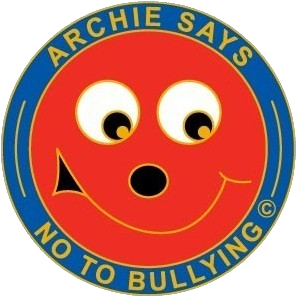 Or even better, why not ask your pupils to design and select a unique anti-bullying badge for your school? We will then turn your chosen design into real badges. The process of designing and selecting the symbol is a very effective and creative tool for capturing pupils' attention whilst discussing and improving their understanding of bullying.